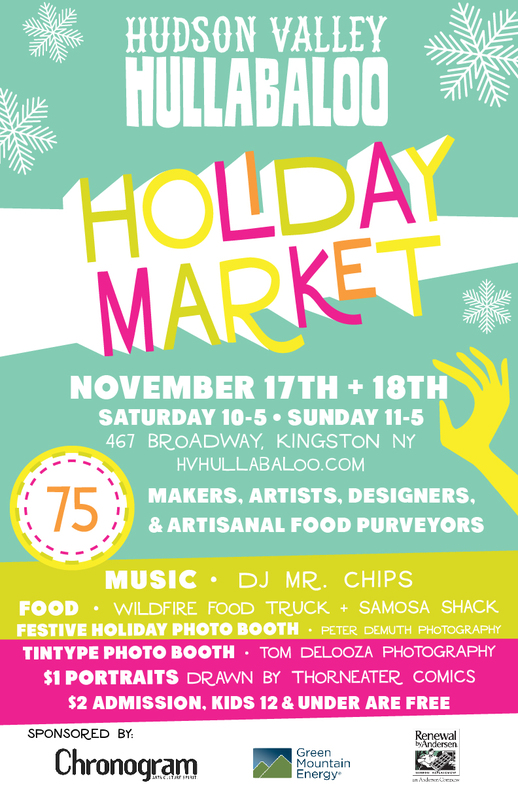 The 6th Annual Hudson Valley Hullabaloo Holiday Market! We are so excited! Next weekend 75 amazing small businesses that make and design their wares will take Kingston by storm in Kingston’s largest holiday shopping party event! Join us, start your holiday shopping, boogie to the musical stylings of DJ Mr. Chips, eat some good food for lunch, and hop into one of the many photo booths/hand drawn portrait situations! We’d like to thank our sponsors for helping to make it happen! Solidago Tarot: Tarot readings at the Hullabaloo! Do you believe life is magical and full of synchronicity? Do you love fairytales, dreams, folklore, mythology and exploring mysteries in the depths of the collective imagination? Need clarity about a specific situation? Are you seeking spiritual guidance? Are you going through a transition and ready for a change? Are you open to transformation? Want to feel more confident in making a decision? Kate Moss of Solidago Tarot will be at the Hullabaloo reading tarot cards both days in the cafeteria room, prices starting at $20. Thorneater and his $1 Portraits! We're excited to announce that Thorneater will be at the Hullabaloo with his $1 portraits! Will you get a set of antlers? Cute little hands with hearts? A sabertooth tiger in the background? You won't know until he's finished, but that's part of the fun! 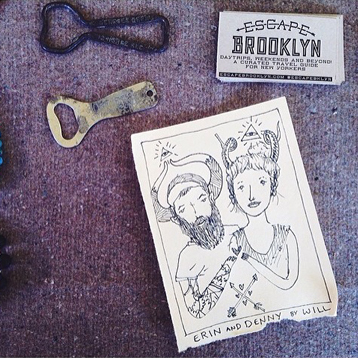 Will Lytle will also have prints of his illustrations, and t-shirts for sale too! Right now you can vote for his illustration in the O+ Festival/Keegan Ales beer can design competition. The design depicts the burning of the Senate House in Kingston on October 13th 1777.